​On July 25, 1916, 5 men got together to form a Society of Mutual Aid. Their goal was to help waves of Italian immigrants arriving in the Noroton Heights area of Darien, Connecticut care for their families, find employment, a home, and community. These were hard times and the immigrants needed someone to help them survive in their new country. These five men worked together to form the Piedmont’s Fundamental Statutes, officially naming the organization The Society of Umberto Principe Di Piedmonte (The Society of Prince Albert of Piedmont County Italy). The meetings were first held at the old Noroton Heights Firehouse on Linden Avenue. Shortly after forming, a 20’ x 30’ barn was built on the property of Antonio Frate (son of G.W. Frates) on the corner Linden Ave and Gardiner Street. As membership continued to grow, and the need for a new building became even more evident. In 1921, they purchased a ¼ acre of land with a building on Elm Street and under the leadership of Mr. Charles Williamson, 65 members worked together to renovate a new clubhouse, volunteering their evenings and weekends to make their dreams come true. In 1948, the Society of Umberto Principe di Piedmonte was reorganized as Piedmont Associates as the organization restructured, turning over the Society’s property and by-laws to new leaders who changed both. The Society became a social organization instead of a mutual aid group, and the club facilities were extensively changed in the Fall of 1948 by reinforcing the structure and creating a better environment for the organization’s activities. Many of the materials used to renovate the building were obtained for free from the Fort Devens Army Base in Massachusetts, which had closed down in 1944. Materials were shipped via railroad to the Noroton Heights freight yard, now Rings End Lumber. In 1954, Interstate 95 was built and many homes and businesses were razed to make way for the new corridor. The building was then moved to it’s current location, placed on a tract of land bought from John Tait with the funds received from the State, across the highway from it’s former site. Extensive renovations were done as well, increasing it’s length by 55 feet to provide kitchen facilities, an auditorium upstairs, an expanded club room, and full service bars on both floors. They also added the current stage, dance floor and a Bocci Court outside. 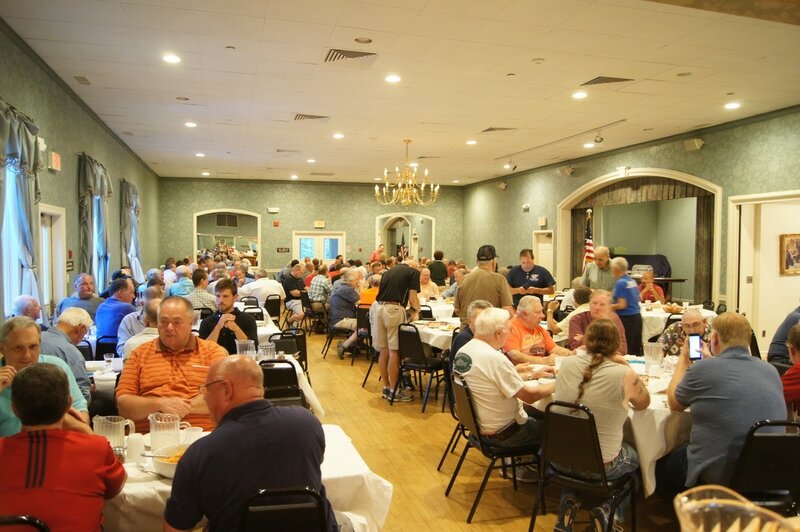 Today, the Piedmont Club sits at 152 Hecker Avenue and continues to host social gatherings for members of the organization as well as special events for the Darien community while promoting the Italian and Italian-American heritage. The Piedmont also provides support for many community based programs, youth sports, and a variety of charitable causes.